A Polish accordion trio established by Janusz Wojtarowicz, a creator of the “accordion trio” idea, which, just like a string quartet, has become a classical performing group. Janusz Wojtarowicz, the author of most compositions performed by Motion Trio, Paweł Baranek and Marcin Gałażyn are world class accordionists using all advantages and sound possibilities of an accordion in their creative work. They are laureates of a lot of prestigious awards, among other: Grand Prix of the 4th Annual Krzysztof Penderecki International Competition of Contemporary Chamber Music, Deutsche Shallplatten Kritik. They have gained respect of both critics and audiences giving concerts in 36 countries all over the world, on all continents. They have given performances in lots of most reputable concert halls in the world: Warsaw Opera House, New York’s Carnegie Hall, the Konzerthaus in Vienna, London’s Barbican Centre, Comédie-Française in Paris. The musicians cooperated, among other, with Krzysztof Penderecki, Michael Nyman, Bobby Mc Ferrin, WDR Rundfunkorchester Koln, Deutsches Filmorchester Babelsberg, Sinfonietta Riga, Rio de Janeiro Orquestra do Theatro Municipal, AUKSO Chamber Orchestra. Over the recent years Janusz Wojtarowicz, together with the group, ran master classes, among other in London Royal Academy of Music, the Conservatoire de Paris or at the University of Chicago. 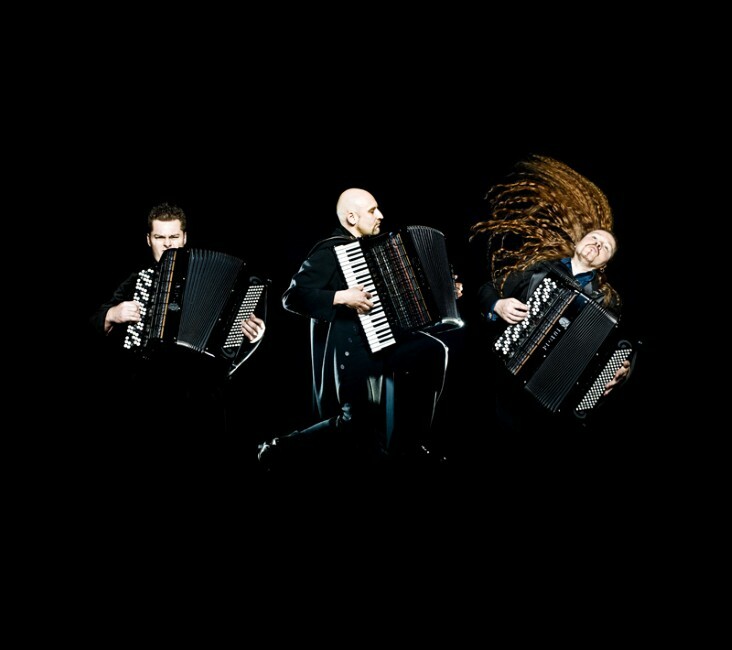 The trio of Polish accordionists scoff at all habits and at traditional ways of playing the accordion and transfer the instrument into the future without any electronic effects, as French Le Monde put it. “It is a totally new music being, a perfect example of Polish contemporary chamber music”, as we read in Gazeta Wyborcza. Motion Trio play Pigini Sirius Millenium accordions funded by the Ministry of Culture and National Heritage of Poland.